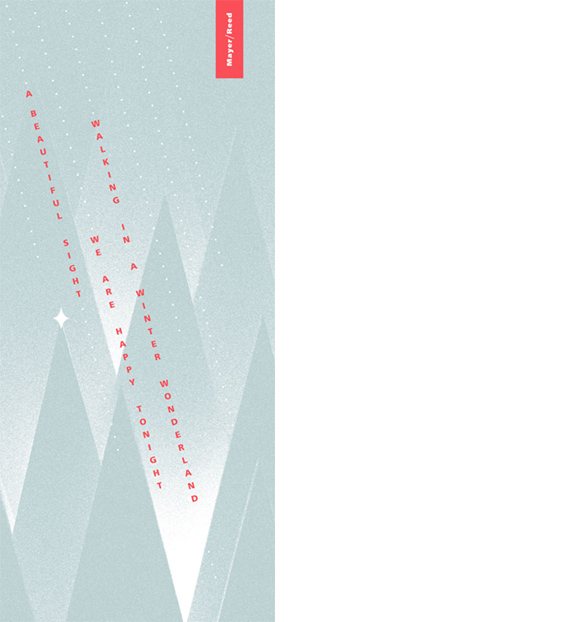 This year’s holiday greeting is inspired by traditions old and new. In Mayer/Reed’s early years, we created a series of holiday cards by photographing an object, manipulating the image and overlaying a message. The process, tuned to the tools of the day, was driven by our interest in object, form and the process of making. For 2017 we revisited this approach and took delight in light and shadow studies created by twinkle lights illuminating a scale model of a new M/R holiday tradition – a festive lobby art installation. Wishing you a magical holiday season filled with your own traditions – old and new. 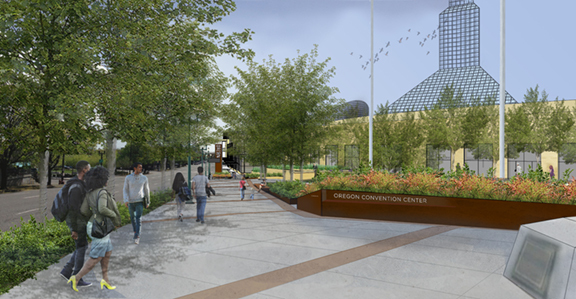 A new visitor experience, entertainment venue and entry sequence for the Oregon Convention Center are unanimously approved through the Portland Design Commission. 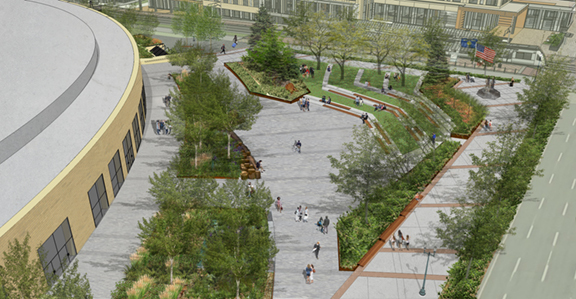 Mayer/Reed’s design for the main entrance and northeast plaza will provide more active destinations within the public realm. 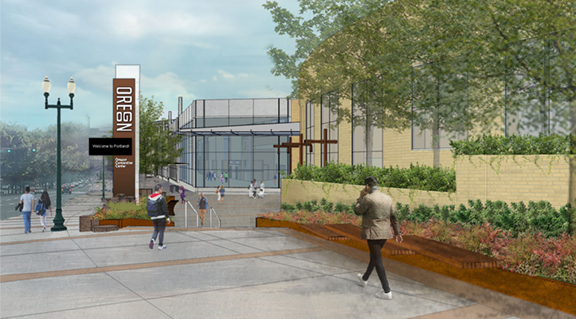 The two plazas, along with an improved streetscape along MLK Blvd., invite visitors to enjoy a casual style of hospitality and a taste of the rich Oregon landscape typologies. Designed to accommodate new patterns of use in response to the new 600-room hotel across Holladay Street, the spaces feature a new digital information pylon, an outdoor event terrace, an amphitheater and programmable use space that’s open to the public. The contemporary design utilizes basalt stone, weathering steel, wood, a variety of informal plantings and incorporation of public art. The new design is part of a $27 million project to update the interior and exterior of convention center led by LMN Architects for Metro. Mayer/Reed’s previous work at the Oregon Convention Center includes the award-winning Rain Garden.